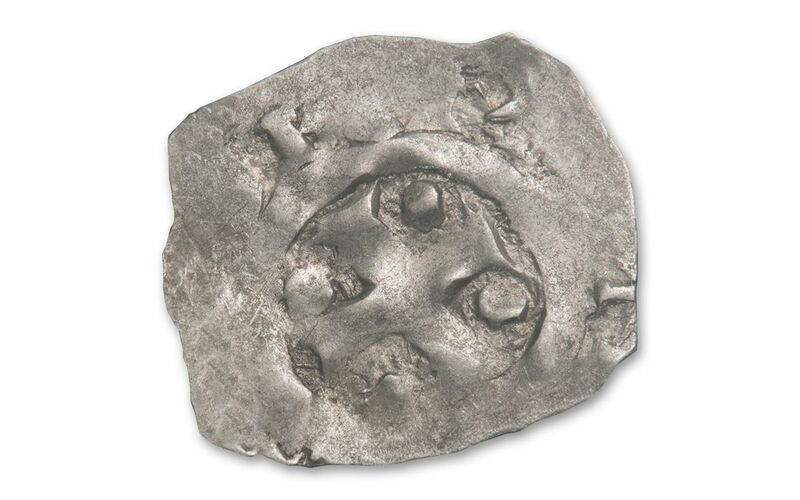 Silver Deniers Struck Under the First Norman King of England! On October 14th, 1066, a brutal battle raged near Hastings. William the Conqueror and his Norman army, having invaded England weeks earlier, were engaged in battle with the forces of the newly crowned King Harold. At stake was the English throne -- originally reserved for William by Edward the Confessor. However, right before he died, Edward granted the crown to Harold Godwinson, resulting in a dispute that would bring both to the battlefield. By evening, the last Anglo-Saxon king lay dead on the ground with an arrow to the eye. 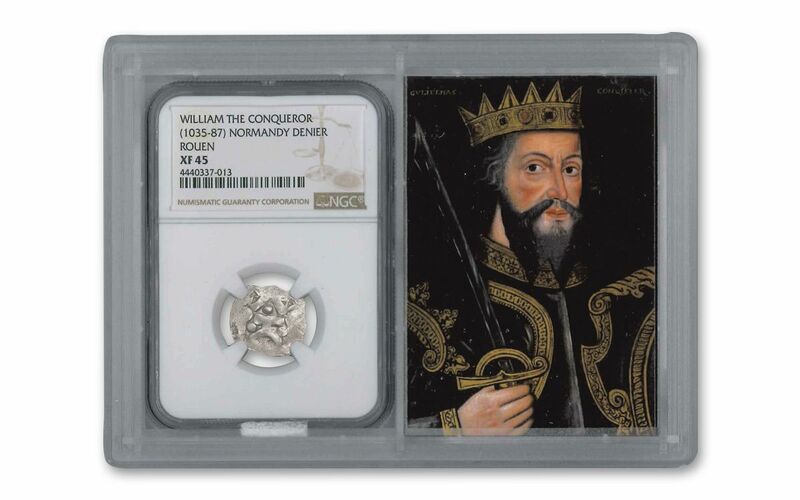 As the victor, William the Conqueror would become England's first Norman king, ruling until his death in 1087 -- thus beginning one of the most transformative and influential eras in British history. 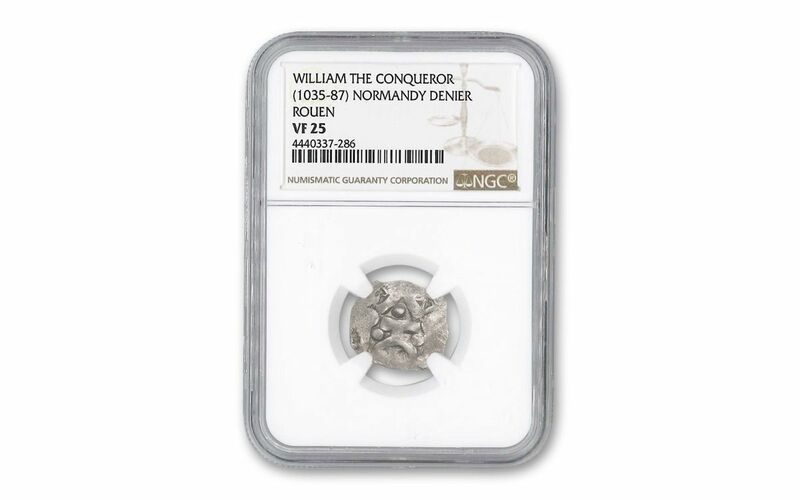 Now you can bring home your very own Norman silver denier, struck in Rouen, Normandy under William the Conqueror. 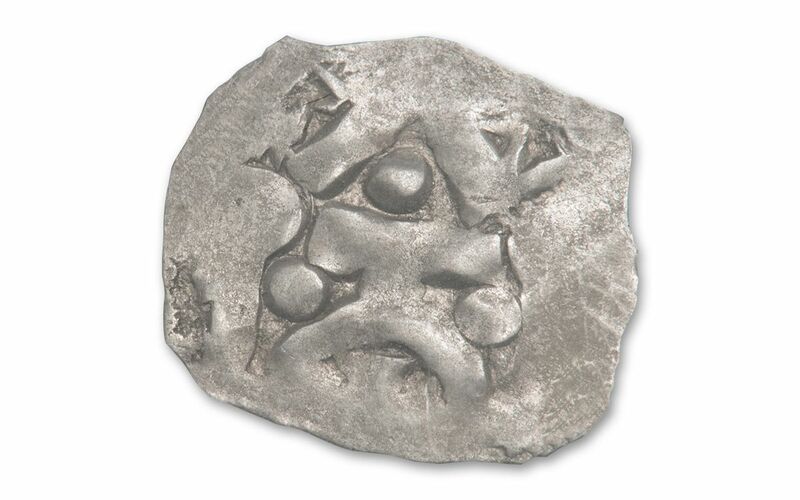 Featuring a cross pattée wreathed by the inscription "NORMANNA" on the obverse and a heraldic saltire cross (also known as the Saint Andrew's Cross) on the reverse, these coins were minted during one of the most pivotal eras in European history. 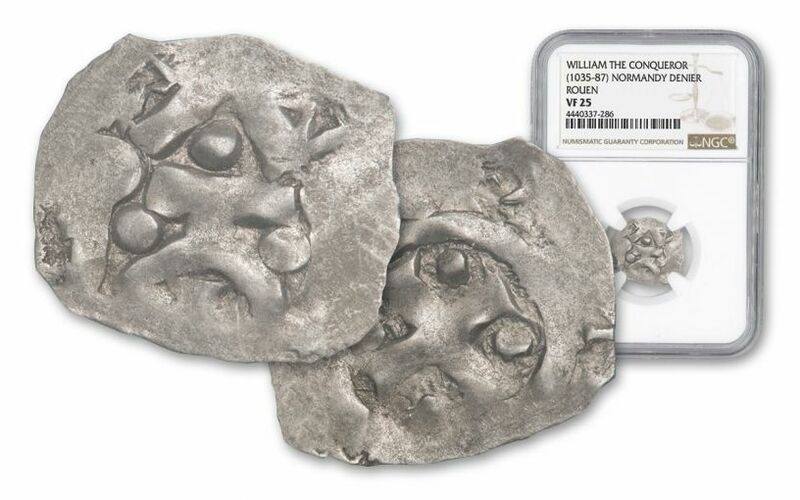 Order yours now and we'll choose a silver denier, certified by Numismatic Guaranty Corporation (NGC) as being in Very Fine-25 (VF25) condition, dated between 1035 and 1087 -- the exact year will be our choice. Your coin will arrive to you secured in a special Story Vault holder, including a card that tells the story behind this historic coin. Don't wait another millennium -- conquer one for your collection now!